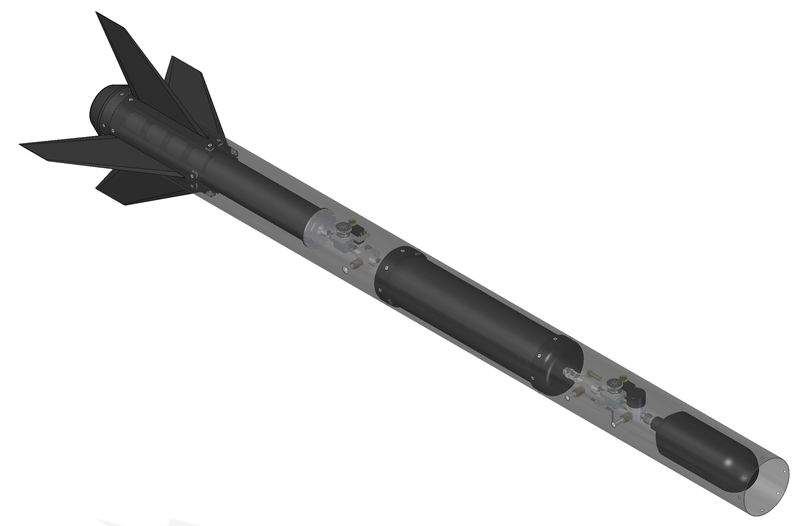 The HyCOMET-1 rocket system consists of several moduls with different functions. 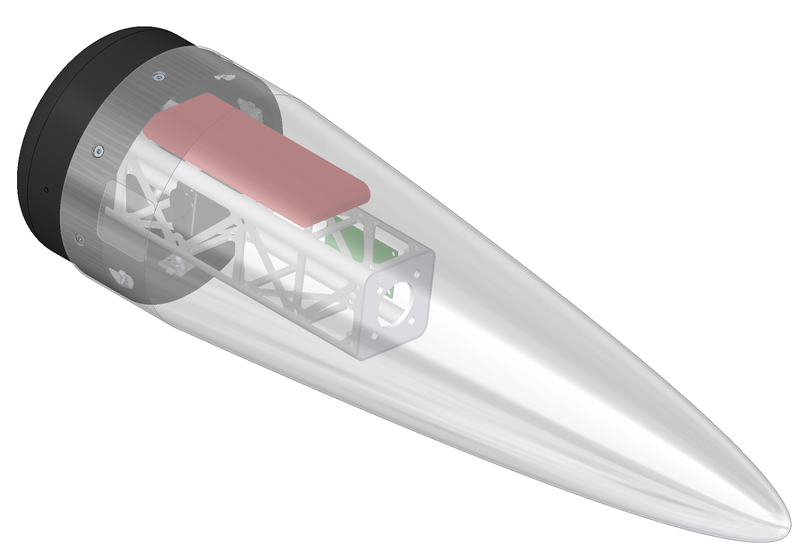 The Nose-Cone Module (short: NCM) reduces the aerodynmical drag during flight. To use the large volume of the cone it is also used as a Multi-Purpose-Module. Therefor it houses redundance electronics to record flight data, a beacon system for retrieval and an in-flight camera system. Following the NCM the recovery system is housed in its own module. 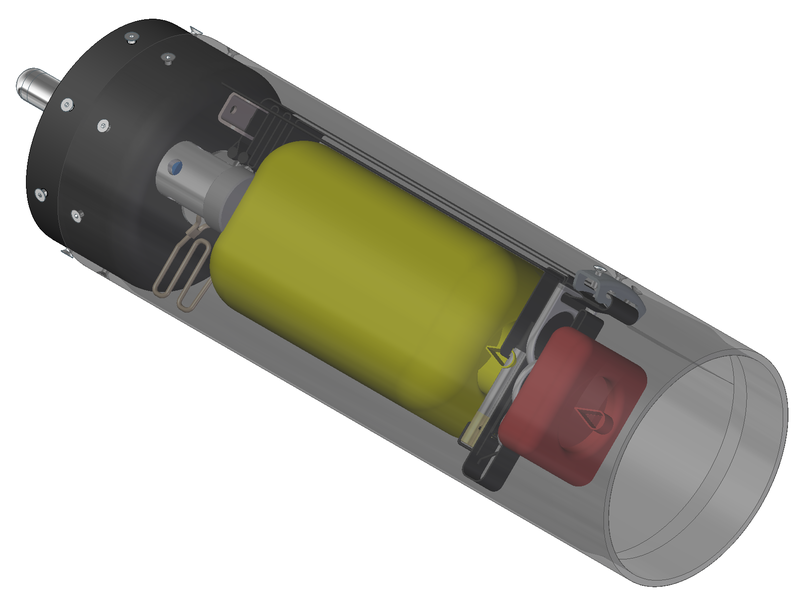 The two staged system uses a smaller drogue-chute and a larger main-parachute. 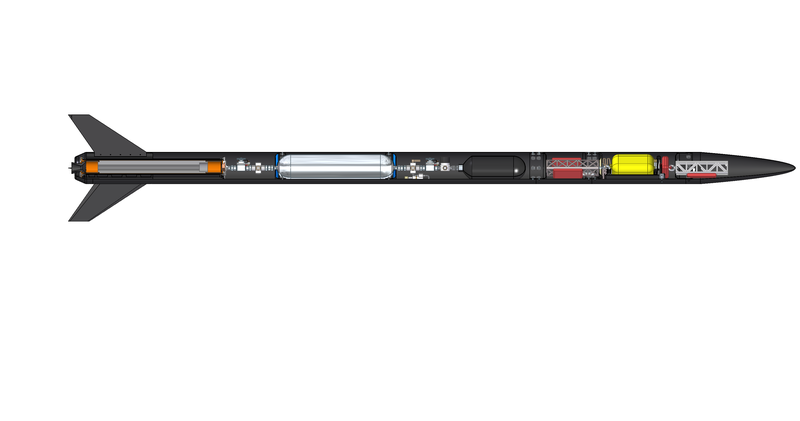 Two CO2 cartridges are used to activate the system by blowing off the NCM. In the rockets center all main electronics are located. To record flight data a Altus Tele-Mega system is installed and connected to a self-designed interface-board with a power-supply-system. Important system are redundant. The more than 2meter long aft-section houses the propulsion system and four aerodynical fins. 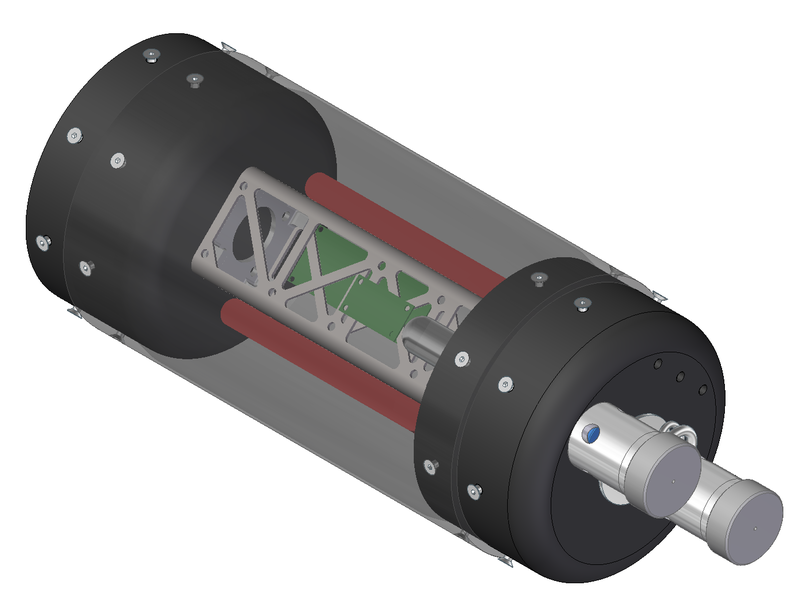 The hybrid rocket motor uses several interface on the launch pad to alow remote controlled fueling and monitoring.